The IFSC Bouldering World Cup came to Hamilton Ontario this past weekend. 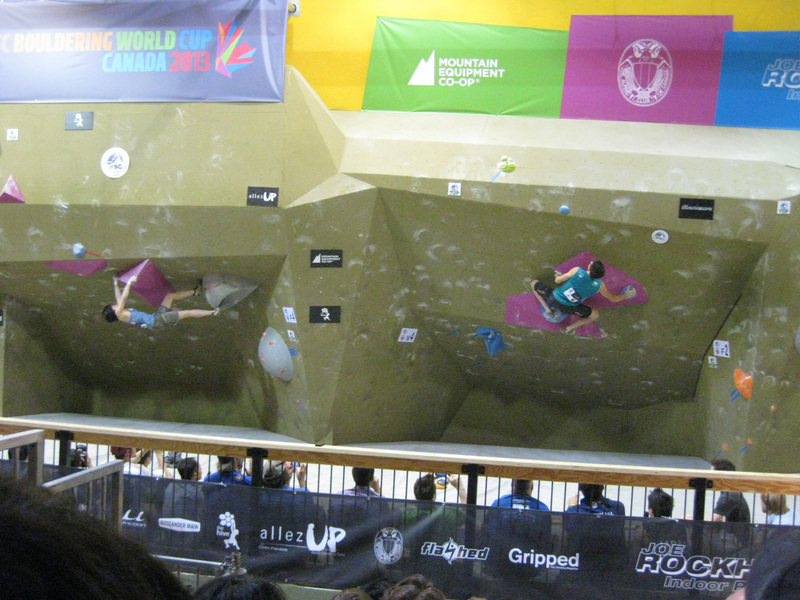 I couldn’t pass up seeing some world class climbers from literally half way around the world. So a few months ago I bought myself a set of tickets for the weekend and drove my two climbing friends and I down to Hamilton, to watch a bunch of magnificent climbers show their stuff. I’m sure you’ve seen a few of these pictures already on my instagram but for those that aren’t following me on there, I’ve accumulated a lot more pictures to post here. 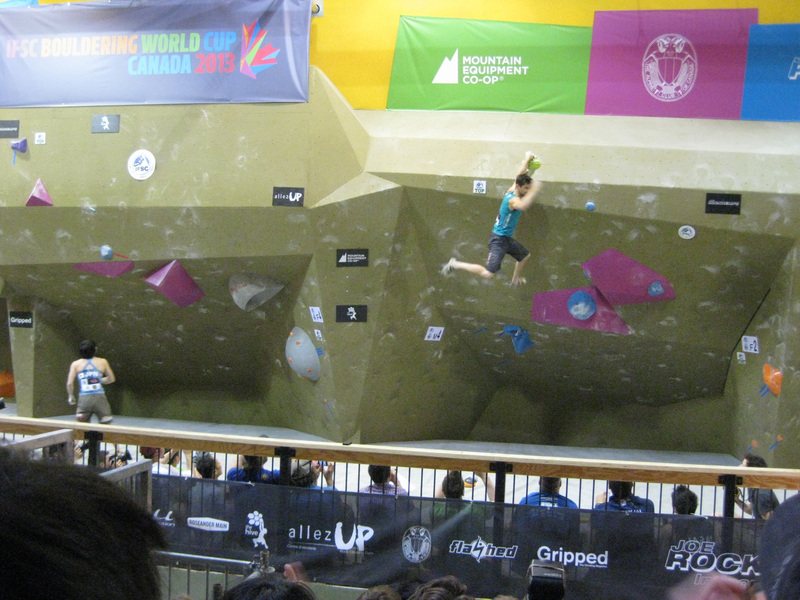 We had some pretty spectacular seats on the bleachers so we had a great view of the entire bouldering wall. 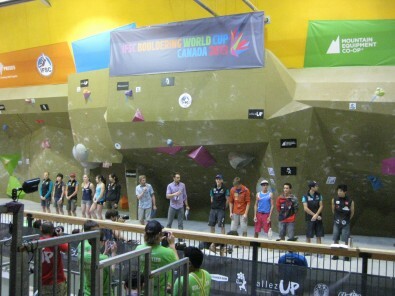 The IFSCwc event was televised live on YouTube, which you can still view. 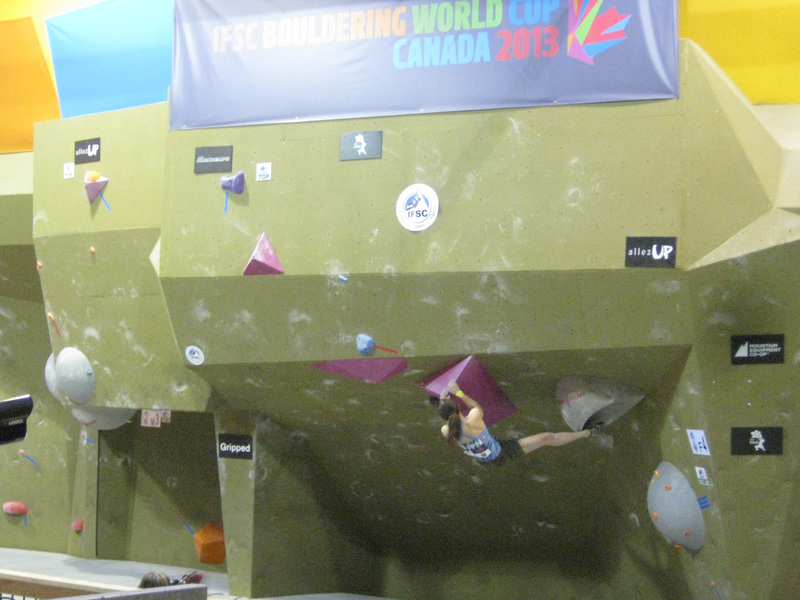 Shown below is one of the women from team Germany, climbing strong. 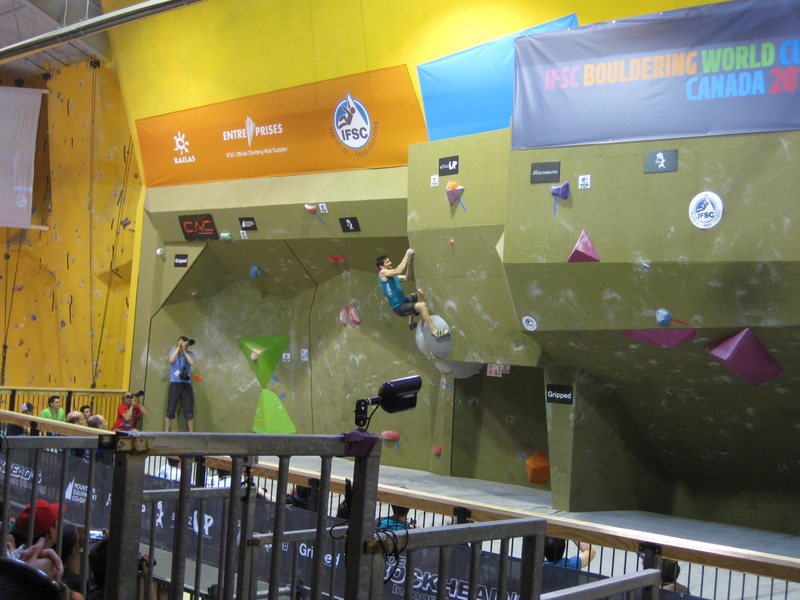 A lot of the guys couldn’t wait to see team USA, Alex Puccio come out for a climb. She ended up placing third overall. 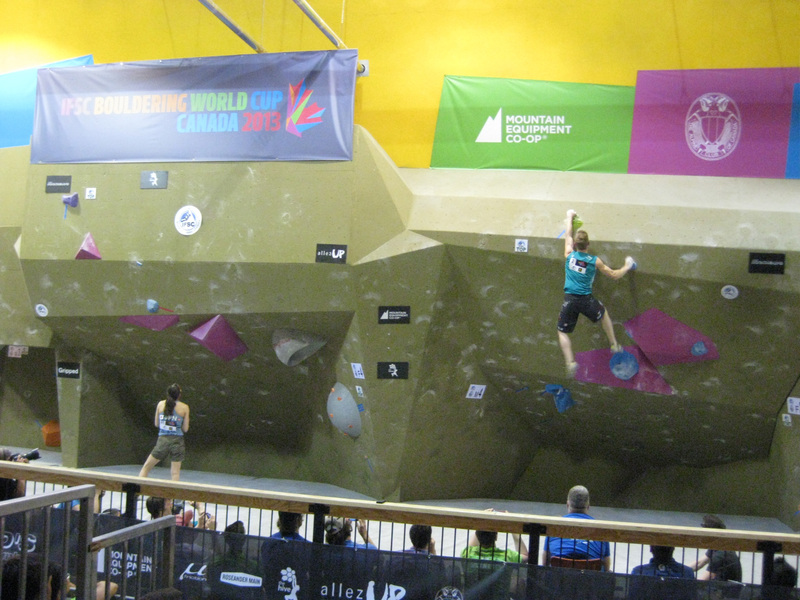 Here she is climbing at semi-finals earlier on Sunday. I think she could seriously crush some coconuts with those muscular shoulder blades of hers. Meagan also from team USA. Alex Puccio below, climbing women’s 3 in finals. 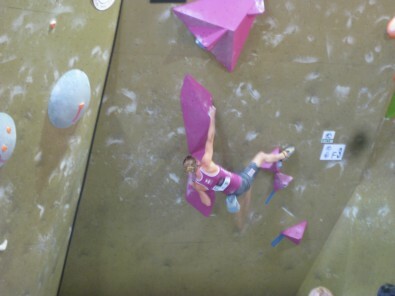 She ended up grabbing the final hold, moving OFF it entirely and going for one of the men’s final holds. She looked back at the crowd, and I’m sure everyone’s jaw was dropping and NOT cheering. Alex then looked down at the judges and they were pointing to the left and she scrambled back quickly to finish on the women’s hold then everyone roared, screamed and cheered. 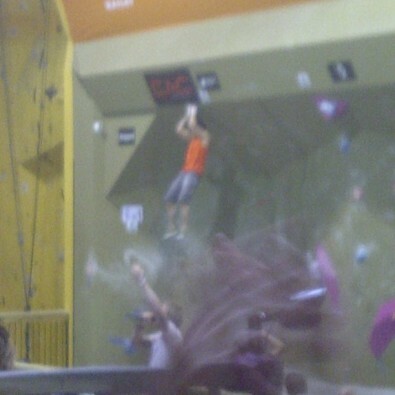 Man that definitely got my heart pumping, seeing her trying to get back to where she was. 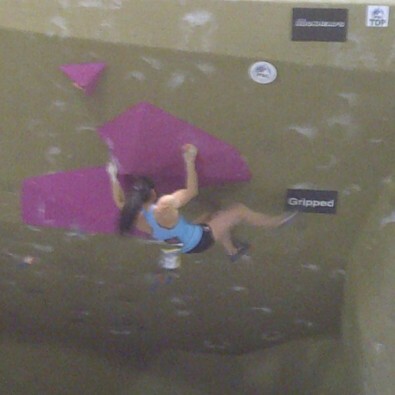 One of the Austrian women climbing on F3. 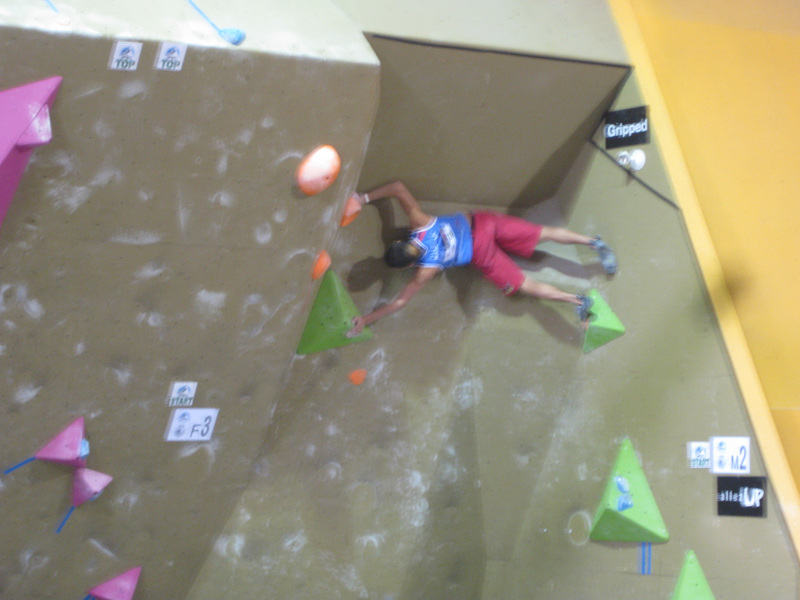 Another Austrian man, Jakob (in the green tank) finishing up in finals. This Japanese woman was incredible to watch. She ended up doing two simultaneous heel hooks while doing the splits. Twice, since she fell! It was unbelievable. 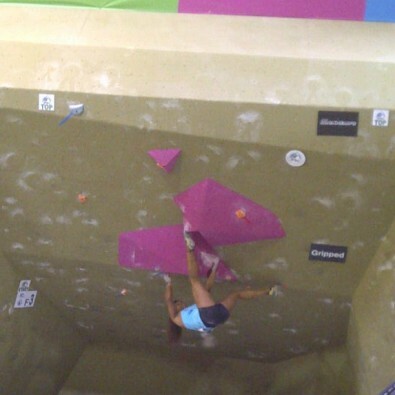 The crowd just screamed when she pulled that off. Next up, my favorite. 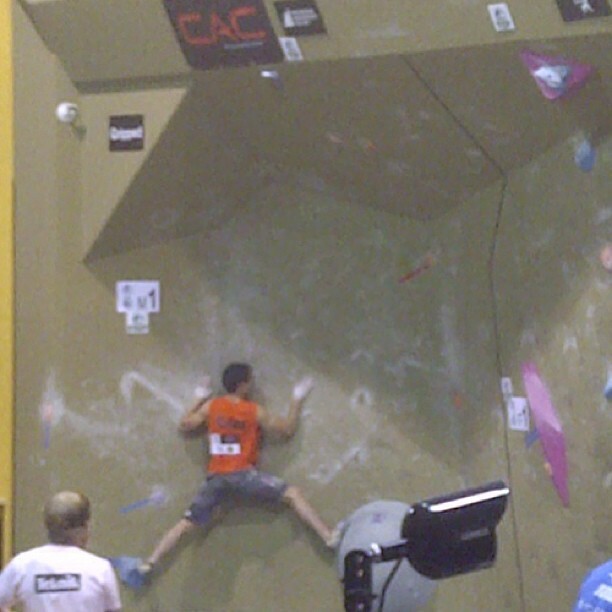 And no stranger to winning first at the World Cups, Kilian Fischhuber from Austria climbing on M2. Going sideways like it’s no big deal. The small but mighty Russian also had some killer moves on this problem. What strong core strength they have, in order to pull these moves off what looked so effortless. Kilian Fischhuber climbing on M4. ….and here he finishes M4. 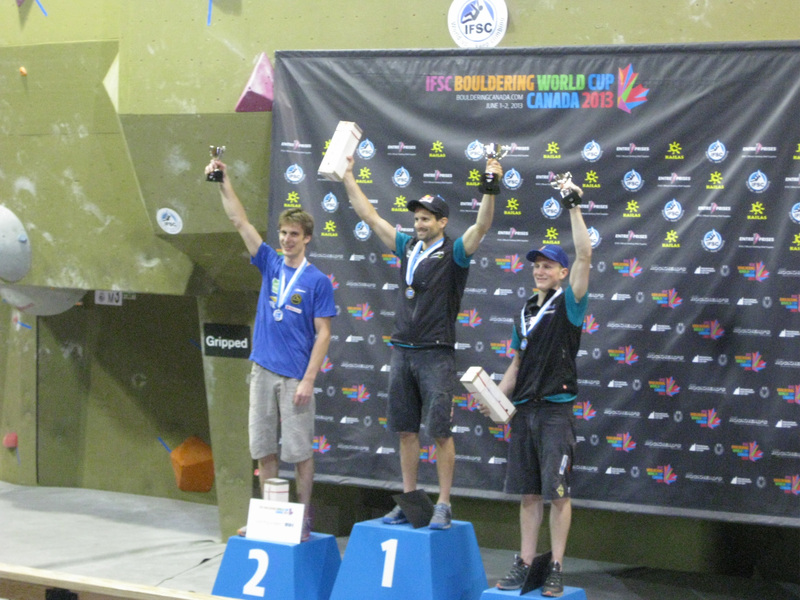 The winners of the Bouldering World Cup! 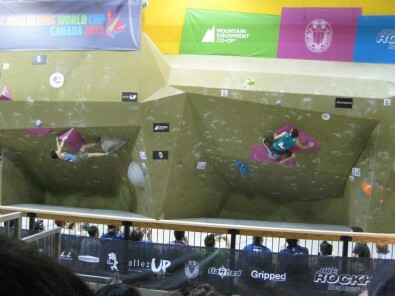 What an incredible experience to be there, live! omg! 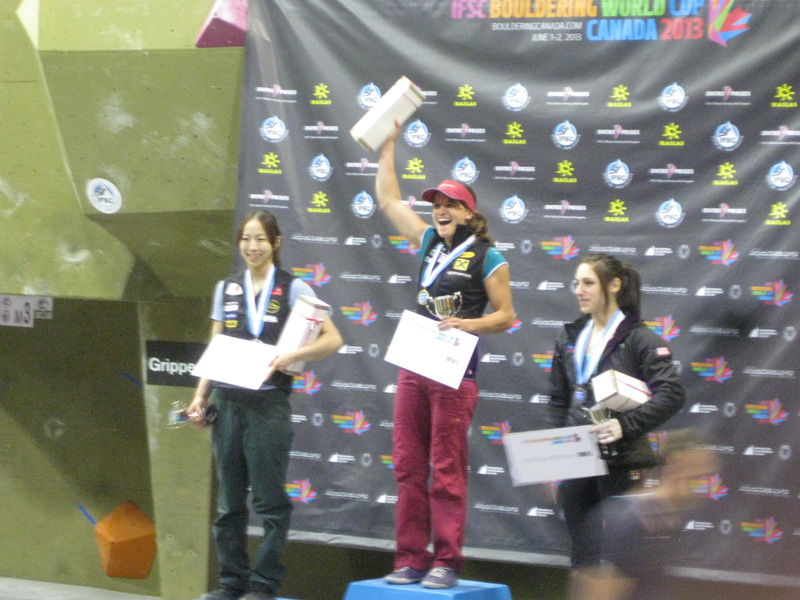 The girl who won… her guns terrify me! holly muscles! Glad you had a great time! 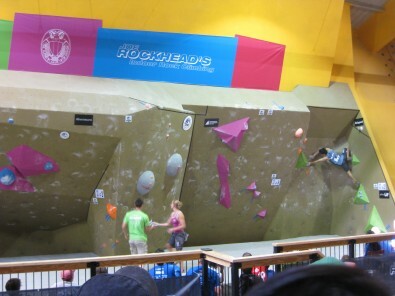 Looks intense! 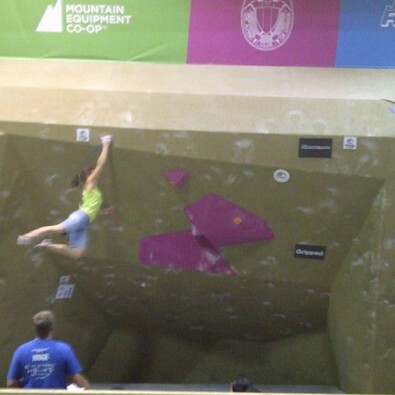 Kierston @candyfit recently posted..Part I: Roadtrip To The OPA Ontario Championships! 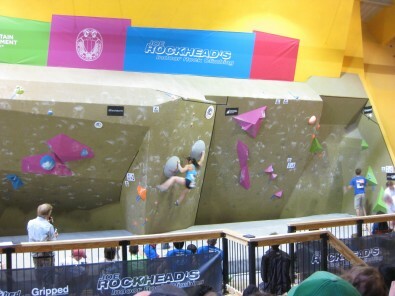 @Kierston @candyfit: It was phenomenal!